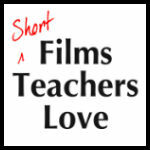 Short Films Teachers Love is the latest podcast joining the Education Podcast Network. SFLT, focuses on the best short films being used by teachers in classrooms worldwide. Each episode features three short film recommendations every episode is also broadcast via YouTube and the audio feed is available in the podcatcher of your choice. Educator, filmmaker, and social entrepreneur Richard Leigh has apassion for connecting people from all walks of life: filmmakers to teachers, creatives to accountants, religious to non-religious. Richard is a people person, with proven technical nous and attention to detail.